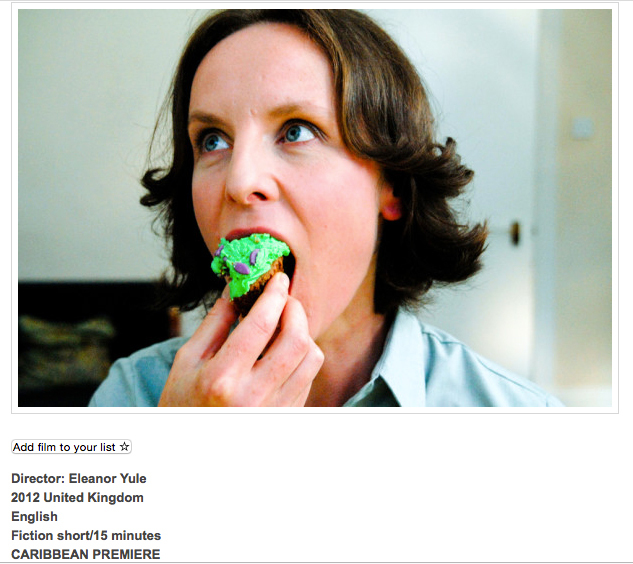 Love Cake has just had its Caribbean premiere at the Trinidad & Tobago Film Festival. Lovely! And it means that our short film has now had its UK, European, Asian and Caribbean premieres – not bad for a wee film from Scotland that isn’t solely focused on the hardships of life. And features cake. LOTS of cake.